Here we go again. 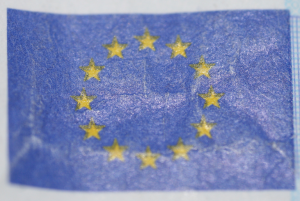 Today Steven Hill has laid out his institutional vision for the European Union on Social Europe journal. His plan – with a bicameral European Parliament – is not too distant from ideas raised by Denis MacShane in the past. Binding national MPs into EU decision making might sound like an appealing idea but (with the partial exception of the Danish), national MPs don’t do EU scrutiny very well. But ask yourself: why would national MPs actually care about this stuff? MPs know that national electorates are going to care more about education, jobs and health, rather than the minutiae of the regulation of safe bathing water or particulates in ambient air. If national parliaments wanted to do EU work properly they should focus on setting national ministers binding negotiation briefs before ministers head off to Council meetings in Brussels. Conversely, Jack Straw’s idea to abolish the European Parliament is absurd (as I’ve argued here, and Simon Hix has written more here). The answer should be that until we’ve exhausted what we can do with the institutions as they are, we shouldn’t tinker in the Treaties. This is why Duff’s transnational lists are not where I would start. Instead we need to look at the parties, making sure that each of the main party political groups puts forward a candidate for President of the European Commission prior to the 2014 European Parliament elections (Ronny Patz has more on this here). If that fails to inject some life into the elections then I’m open to considering other options, but for now that’s the best way forward – and it requires no institutional reforms to make it happen, only a bit of political will. No institutional navel gazing here? When will I cease to see new opportunities? Surely there is a missing “not” in that first sentence? Only the first of Schumpeter’s points is demonstrably true of EP elections, and I think the third may be demonstrably false. Erm, bit of an error in my piece – should read ‘NOT’ re. Schumpeter. Now corrected! 1) I agree that many national Parliaments are “weak”, but I think that critique is mainly valid for France and the UK. Italy, Germany and U.S. all have strong legislatures. Also, in the case of France and the UK at least there are indeed “electoral programs” which the newly-elected leaders (with help of parliament) can then actually implement. Not true for EP elections, although linking EU president to EP elections would improve this a little bit (at least legislative initiatives could be made based on said elections even direct initiation by MEPs remains outlawed). 2) Well, I think there is actually a very clear counter-policy based on massive ECB intervention, the same way the Fed, Bank of Japan and Bank of England do (there is a reason Europe is the ONLY region in recession in the world despite having less debt than the US/Japan, and it isn’t particularly hard to figure out why). Everybody, including people outside of the eurozone like the UK, Poland, Russia and the USA, are basically for this, but the Germans will always oppose this apparently regardless of how catastrophic their current management has been. It has been very rewarding for me personally to see this Krugmanite program be so mainstreamed by foreign governments and by both main French presidential candidates. 1) Your critique of the EP is misguided. Even though many national parliaments have the theoretical power to propose legislation they very seldom do, and when they do, it’s fiendishly hard for it to get anywhere. OK, the EP might be weak in this regard in comparison to Congress in the USA, but in comparison to the House of Commons or Assemblée in France it not doing badly. The European Parliament can’t really do much on the Eurozone bailouts due to the solution there being essentially intergovernmental, but the EP *does* codecide masses of legislation, and individual MEPs (at least the good ones) have real legislative clout. 2) The jobs one – I don’t think any politicians anywhere, in the EP or outside it, have much clue about what to do on this, and I am pretty damned sure the Fiscal Compact isn’t going to help. But equally, a treaty reform that’s more comprehensive than the Fiscal Compact – if agreed now – is only going to make things worse still, as so many EU states are controlled by the centre right. So – institutional changes or not – we’re frankly screwed just now. I don’t think the EP-Commission thing is a silver bullet either, but it’s the most viable starting point. I didn’t expect the formatting of the previous post to be so horrible. Apologies. I agree with your sentiment that this kind of institutional fiddling involving transnational lists and national MPs is really quite pointless. And misses the point. I disagree with a lot of your reasoning though. I do not think for example that “If that [elected EU president] fails to inject some life into the elections then I’m open to considering other options, but for now that’s the best way forward – and it requires no institutional reforms to make it happen, only a bit of political will.” It isn’t a matter of “will” it’s a matter of the EP (still) not having any of the powers of any normally constituted, democratic Parliament. 1) “The EP does conform to Schumpeter’s classic definition of a party system.” MEPs can’t propose laws or budgets or taxes or propose governments or do anything like “implement a programme”. All they can really do is A) Pass meaningless resolutions. B) “Nuclear option” en masse rejection (of the budget, of the entire college of commissioners), not really very useful except for day-to-day legislating. C) Tinker with the Commission/Council’s various typically budgetless, wishy-washy, platitudinous, unenforceable directives on various things. The EP is kept at a great arm’s length from things of real, genuine, fundamental political importance, notably on the eurozone, where it has basically had no role besides rubber-stamping. How, in this circumstance, does the EP meet Schumpeter’s definition and why are people “surprised” that it can’t engage with voters and the public on any meaningful level? It would be surprising if anyone *could* identify and care about its groups. 2) “MPs know that national electorates are going to care more about education, ***jobs**** and health, rather than the minutiae of the regulation of safe bathing water or particulates in ambient air. If national parliaments wanted to do EU work properly they should focus on setting national ministers binding negotiation briefs before ministers head off to Council meetings in Brussels.” I strongly agree with the latter. But you don’t think the EU has a major role in jobs(-destruction)? Even non-eurozone members like the UK are seeing their growth targets wrecked by being sucked into the euro-double-dip. For stuff affecting the UK, it is all minor and boring and probably marginal, which makes it surprising that so many people get worked up about it. For the eurozone it cuts to the heart of fundamental issues: jobs (! ), growth (! ), budget cuts (!). These are massive at the EP has no say in the matter. Eurozone governance should, uh, be put under democratic control (this lining of thinking is actually considered extremely radical in EU circles), not fixed into immutable treaties (2% inflation trumps jobs/growth! Outlaw Keynesianism!) or left in the hands of a tiny banker-bureaucrat elite in Frankfurt (note: the ECB’s lending to private banks program since December has been of €1 trillion, created a snap of their fingers, equal to the Commission’s ENTIRE 7-year EU budget proposal, subject to endless negotiation and debate, that’s the kind of incredible power that Goldman Sachs-alumni Mario Draghi and his colleagues have). The Treaties of course need to be changed: they need to be made actually democratic through a combination of majoritarian EP and Council of Ministers control. An EU Council/Commission president elected based on the parliamentary results in 2014 would be significant, I think it would instill life and be a very important step forward, but ultimately his powers even with added legitimacy would still be extremely limited and would not address the EU’s democratic deficit in the absence of Treaty change, admittedly NOT AT ALL of the kind Hill and Duff are proposing.